At New York City’s Rose Center of Earth and Space, we display a timeline spiral of the Universe that begins at the Big Bang and unfolds 13.8 billion years. Uncurled, it’s the length of a football field. Every step you take spans 50 million years. You get to the end of the ramp, and you ask, where are we? Where is the history of our human species? The entire period of time, from a trillion seconds ago to today, from graffiti-prone cave dwellers until now, occupies only the thickness of a single strand of human hair, which we have mounted at the end of that timeline. You think we live long lives, you think civilizations last a long time, but not from the view of the cosmos itself. This is covered in more detail in Chapter 1 of Welcome to the Universe. Buy the book. As unsettling as it may be, the data show that we’re on a one-way trip. We were birthed by the Big Bang, and we’re going to expand forever. The temperature is going to continue to drop, eventually becoming 2 K, then 1 K, then half a kelvin, asymptotically approaching absolute zero. … The stars will finish fusing all their thermonuclear fuel, and one by one they will die out, disappearing from the sky. … This keeps going until all the lights of the galaxy turn off, one by one. The galaxy goes dark. The universe goes dark. Black holes are left, emitting only a feeble glow of light. … And the cosmos ends. Not with a bang, but with a whimper. Our star, and most stars, are made mostly of hydrogen, which is the number one element in the universe: 90% of all atomic nuclei are hydrogen, about 8% are helium, and the remaining 2% comprise all the other elements in the periodic table. All the hydrogen and most of the helium are traceable to the Big Bang, along with a smidgen of lithium. The rest of the elements were later forged in stars. If you are a big fan of the argument that somehow life on Earth is special, then you must contend with an important fact: if I rank the top five elements in the universe—hydrogen, helium, oxygen, carbon, and nitrogen—they look a lot like the ingredients of the human body. This is covered in more detail in Chapter 6 of Welcome to the Universe. Buy the book. Our galaxy has 300 billion stars, many of them likely surrounded by planets of their own. How important are we in this picture? We’re quite small—cosmically insignificant. A depressing revelation for some, who would prefer to feel large. The problem is history. Every time we make an argument that we’re special in the cosmos, either that we are in the center or that the whole universe revolves around us, or that we are made of special ingredients, or that we’ve been around since the beginning, we learn that the opposite is true. In fact, we occupy a humble corner of the galaxy, which occupies its own humble corner in the universe. Every astrophysicist lives with that reality. This is covered in more detail in Chapter 7 of Welcome to the Universe. Buy the book. Because we are alive, we harbor a special interest in life in the universe. If we are to look around the universe and wonder whether some particular star has planets orbiting it, and whether those planets could have life, it’s sensible to shape questions based on life as we know it—life on Earth. … Based on everything we know about life, we think life needs a planet. It’s going to need a planet orbiting a star. You have to make the star, and then the planet, and then, remembering that life on Earth evolves slowly, you need billions of years of evolution to produce intelligent life. Therefore, the star has to be long lived. Not all stars live a long time. Some stars don’t live as long as a billion years, or even as long as a hundred million years. Your most massive stars are dead after 10 million years or less—not much hope for intelligent life on a planet around those stars, if what happened on Earth is any indication. We need a star that is long lived and a planet, but not just any planet—a planet in the star’s habitable zone. This is covered in more detail in Chapter 10 of Welcome to the Universe. Buy the book. Is part of our galaxy invisible? Is there a black hole in our backyard? The interstellar medium is the raw material from which stars are made. … The interstellar medium is quite diffuse over most of the Milky Way galaxy, but in certain regions … it is relatively dense—these are the regions that are ripe for star formation. Gravity pulls a small knot in the cloud of dust and gas together. As it collapses, it heats up, converting its gravitational potential energy to kinetic energy as it falls inward, eventually becoming hot and dense enough for thermonuclear reactions to take place, and a star is born. … With time, the radiation and stellar winds from the young stars evaporate and blow away the dust surrounding them, gradually unveiling the stars. This is covered in more detail in Chapter 11 of Welcome to the Universe. Buy the book. The nearest stars are about 4 light-years away, or 4 × 1013 kilometers. Divide this by the diameter of the Sun, 1.4 million kilometers. This will tell us how many Suns we would have to lay side by side to reach to the nearest star: 30 million. … The Sun itself is about 100 times the diameter of Earth. In other words, the distance to the nearest stars is 3 billion times the diameter of Earth. The stars are tiny specks compared to the enormous distances between them. … It turns out that the distance of 4 light-years is a typical distance between stars in our galaxy. We now know that our Milky Way is a very flattened structure, a circular disk, roughly 100,000 light-years in diameter, but only 1,000 or so light-years thick. … The extent of the Milky Way is about 25,000 times larger than the typical distances between stars, or 75 trillion times Earth’s diameter. This is covered in more detail in Chapter 12 of Welcome to the Universe. Buy the book. There is a significant component of the mass of the Milky Way outside the orbit of the Sun that is simply not visible in the form of stars. We call it dark matter. We have inferred its presence solely through its gravitational effect on stellar orbits. How much dark matter does the Milky Way contain? The answer depends on how far out we think the Milky Way extends. The stars mostly peter out 40,000 light-years or so from the center, but the orbital speeds of the rare stars or clouds of gas even farther out are about the same as that of the Sun, 220 km/sec. Our best modern estimates tell us that the stars and interstellar medium in the Milky Way represent only a small fraction, perhaps 10%, of the entire mass of the galaxy. The vast majority of the Milky Way’s mass, roughly a trillion times the mass of the Sun, is in the form of dark matter, extending perhaps 250,000 light-years from the center. A perfectly uniform universe will expand uniformly, and no structure will ever form: no galaxies, no stars, no planets, no humans to look up at the sky and wonder what it all means. The fact that we live in a Universe with structure, with real deviations from uniformity—that is, a universe in which we exist—tells us that the early universe … could not have been perfectly smooth. … Consider a region in the early universe in which the density of matter is slightly higher than in the neighboring regions. The mass associated with that region is also slightly higher, and thus it has a slightly higher gravitational pull than the material around it. A random hydrogen atom or particle of dark matter will be attracted toward that region, thereby increasing its density at the expense of the regions around it. Material thus falls into this region, increasing its mass, and in the gravitational tug-of-war, it will be even more effective in pulling extra matter toward it. As time goes on, this process will cause subtle fluctuations in the density of matter to grow with time—enough in principle to form the structures we find around us today. This is covered in more detail in Chapter 15 of Welcome to the Universe. Buy the book. Astronomers have now searched in detail for black holes in about 100 galaxies. In essentially every case that they had the sensitivity to detect it, they did find evidence for a supermassive black hole in the center. As far as we can tell, essentially every large galaxy with a significant bulge (i.e., ellipticals and most spirals) hosts a black hole. Our Milky Way, with a black hole of a mere 4 million solar masses, is a relative wimp; the most massive black holes among the nearby galaxies are several billion times more massive than the Sun (as we saw for M87). Moreover, the larger the elliptical galaxy (or the bulge of the spiral galaxy), the more massive the black hole will be; the mass of the black hole is typically about 1/500 of the mass of the bulge of stars in which it sits. This is covered in more detail in Chapter 16 of Welcome to the Universe. Buy the book. Newton would say that if you took two masses and set them at rest in interstellar space, they would start accelerating toward each other because of their gravitational attraction, and they would eventually hit each other. Newton would say this is because they exert forces on each other at a distance, and these forces pull them together. Einstein says that the two masses cause the spacetime around them to be curved. In that curved geometry, the two particles simply travel on the straightest possible trajectories they can, which brings them together. This is covered in more detail in Chapter 19 of Welcome to the Universe. Buy the book. Suppose I got an enormous trash compactor and crushed Earth to a smaller size, wadding it up like a ball of paper and crushing it into a smaller radius. What would happen to the escape velocity? Earth’s mass would be the same, but its radius would be smaller, making the escape velocity from its surface rise. Eventually, if I crushed Earth to small enough size, the escape velocity would become equal to the velocity of light c. … Einstein showed that nothing can travel faster than the speed of light—if you crush Earth to a radius inside its Schwarzschild radius, it’s never going to re-emerge: it forms a black hole. We call it a “black hole,” because no light from inside it can ever get out. The mass will continue to collapse to still smaller size, where gravity will pull it together even more strongly, increasing the escape velocity even more. Inside the Schwarzschild radius, gravity wins over all other forces, and the mass collapses to a point, a singularity of infinite curvature at the center. … If you were to venture inside the Schwarzschild radius, could you ever get back outside? No. You would have to travel faster than light to do so, and Einstein showed that was impossible. This is covered in more detail in Chapter 20 of Welcome to the Universe. Buy the book. Time begins at the Big Bang—a singularity of infinite curvature is there. … What happened before the Big Bang? This question makes no sense in the context of general relativity, because time and space were created at the Big Bang. It’s like asking what is south of the South Pole. If you go farther and farther south, you will eventually get to the South Pole. But you can’t go farther south than the South Pole. Likewise, if you go farther and farther back in time, you will eventually get to the Big Bang. That’s when time and space were created, so that’s the earliest you can go. Aristotle liked a universe that was infinitely old, because you would not have to ask how it got started; if it had a beginning, a first cause, then you would have to explain what caused the first cause, he worried. Einstein and Newton liked infinitely old universes also. But Friedmann’s universe started with a Big Bang at a finite time in the past, when both space and time were created. This is covered in more detail in Chapter 22 of Welcome to the Universe. Buy the book. How can one get an infinite number of universes each ultimately infinite in size, from just a finite beginning? De Sitter spacetime looks like a trumpet with its mouth opening upward. … This remarkable spacetime geometry, in which inflation continues forever and the space becomes infinitely big, allows creation of an infinite number of infinite bubble universes in an ever-inflating sea. … Inflation seems inevitably to produce a multiverse of universes. Just how sure are scientists of this? Once Sir Martin Rees (the Astronomer Royal) was asked at a conference how sure he was that we lived in a multiverse. He said he wouldn’t be willing to bet his life on it, but he would go so far as to bet the life of his dog. Linde rose to say that since he had spent decades of his life working on the multiverse idea, he had proven that he would bet his life on it. Nobel Laureate Steven Weinberg said he would be willing to bet Linde’s life on it, and Martin Rees’s dog’s! This is covered in more detail in Chapter 23 of Welcome to the Universe. Buy the book. If we look around, we can see the universe showing us what we should be doing. We live on a tiny speck in a vast universe. The universe tells us: spread out and increase your habitat to improve your survival prospects. We live on a planet littered with the bones of extinct species, and the age of our species is tiny relative to that of the universe as a whole. We should spread out before we die out. We have a space program only about half a century old that is capable of sending us to other planets. We should make the wisest possible use of it before it is gone. Will we venture out, or turn our backs on the universe? This is covered in more detail in Chapter 24 of Welcome to the Universe. Buy the book. Welcome to the Universe is a personal guided tour of the cosmos by three of today’s leading astrophysicists. 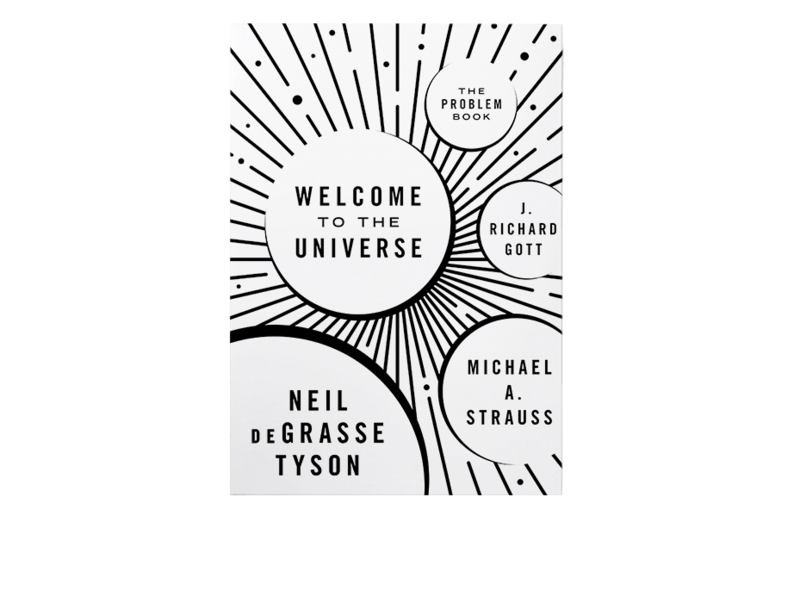 Inspired by the enormously popular introductory astronomy course that Neil deGrasse Tyson, Michael A. Strauss, and J. Richard Gott taught together at Princeton, this book covers it all—from planets, stars, and galaxies to black holes, wormholes, and time travel. 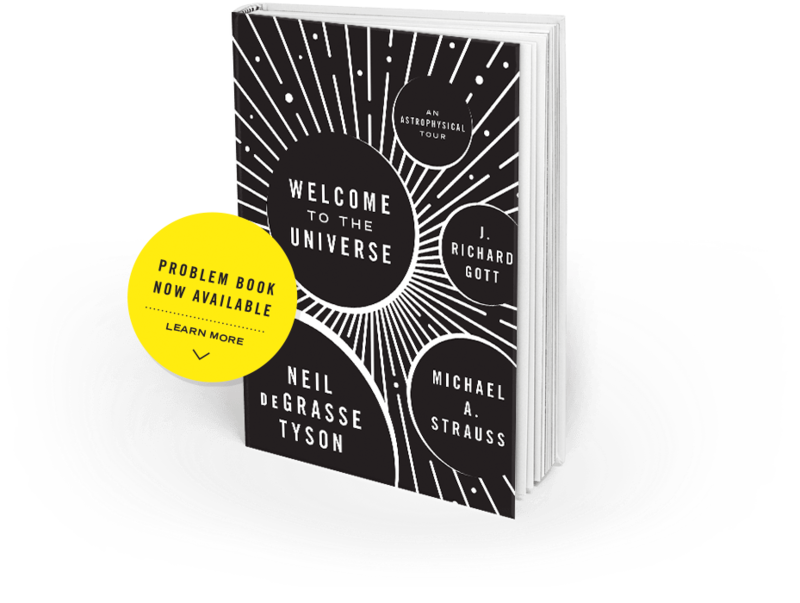 Welcome to the Universe: The Problem Book features more than one hundred problems and exercises used in the original course, ideal for anyone who wants to deepen their understanding of the original material and to learn to think like an astrophysicist. Whether you're a student or teacher, citizen scientist or science enthusiast, your guided tour of the cosmos just got even more hands-on with this essential companion book. 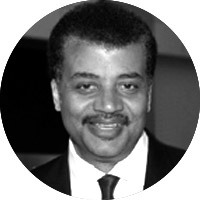 Neil DeGrasse Tyson is director of the Hayden Planetarium at the American Museum of Natural History. 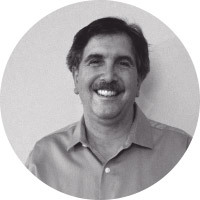 He is the author of many books, including Space Chronicles: Facing the Ultimate Frontier, and the host of the Emmy Award–winning documentary Cosmos: A Spacetime Odyssey. 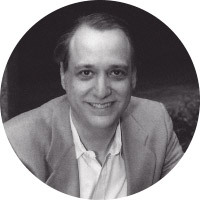 Michael A. Strauss is professor of astrophysics at Princeton University. J. Richard Gott is professor of astrophysics at Princeton University. His books include The Cosmic Web: Mysterious Architecture of the Universe (Princeton). © 2016 by Princeton University Press. All rights reserved. If you are interested in learning more about Princeton University Press’s science titles, sign up here.